Inspired by singers like Rev. Donald Vails and Thomas Whitfield, Byron Cage began singing gospel music as a teenager. He went on to serve as music director for the New Birth Church in Atlanta and to become a minister of music at Ebenezer AME (African Methodist Episcopal) Church in Fort Washington, MD. 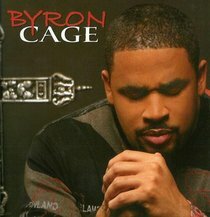 Together with his nine-vocalist group Purpose, which he formed in the mid-'90s, Cage recorded three memorable live albums of spirituals: Transparent in Your Presence, Dwell Among Us, and The Prince of Praise. He received five Stellar Awards for his 2003 Prince of Praise, and received a 2006 Grammy nomination for his 2005 release An Invitation to Worship. Live at the Apollo: The Proclamation appeared in 2007, with Faithful to Believe arriving in 2009 and Memoirs of a Worshipper in 2012.